We just don't equip kitchens. From classic styles to modern looks, we offer an array of brands which feature exceptional quality in design, materials and craftsmanship. It’s all about performance. Only the finest cutlery steel, carefully tempered, and then precisely ground from heel to end. Details, details, details. All the little things matter to us because they matter to you. Eating is an experience for all the senses, and maximizing the customer experience is the ultimate goal. Use the tools that allow you to impress. Prominent purple color on all products allows you to keep your customers safe and provides your kitchen with a simple and easy way to avoid cross-contamination. Working side-by-side with chefs for more than 3 decades, we leveraged that knowledge to bring you apparel that can only come from being behind the line. Let's Cut To The Chase View our brand new, full-color catalog. With over 130 pages, it's overflowing with products and information which come from years of working side by side with culinary experts like you. A printed version is also available, just for the asking. Connect with us today. 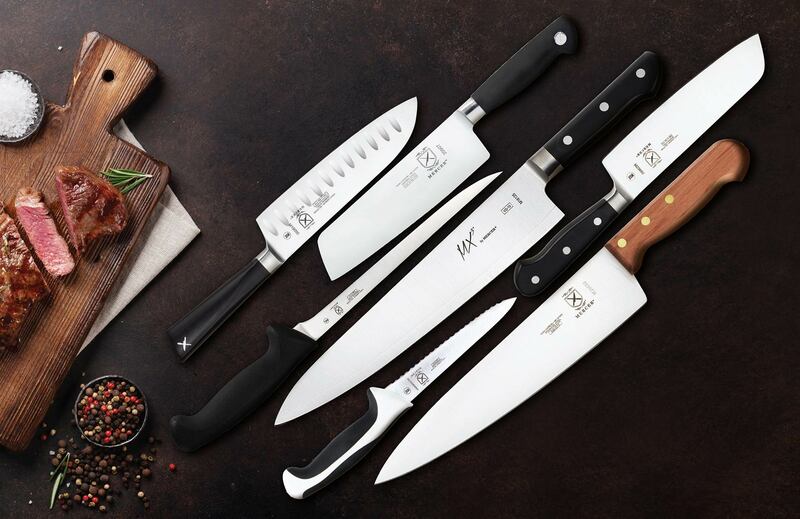 all designed for the discerning chef.